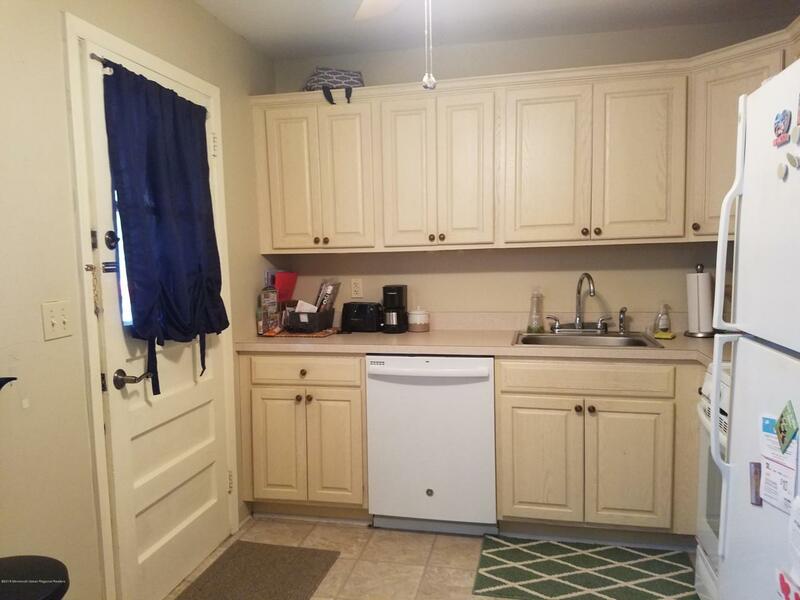 Spacious and beautifully renovated first floor unit has newer kitchen, tiled bath and wood floors throughout. Back door in kitchen leads to serene setting as well as your assigned parking space. Located on a very quiet street, but conveniently located near shopping, restaurants, transportation and beach. Minutes from GSP and RT 18. Rent includes heat/hot water, gas, ground maintenance, trash removal and parking. Electric is minimal (about $25/month). In ground pool and on-site laundry facilities. Non Smoker preferred. Coop Board approval required; must submit rental application with $75 non-refundable fee (see app under DOCS). 1st month rent and 1 1/2 month sec/dep. AVAILABLE January 1, 2019. Dimensions are approximate. SORRY, NO DOGS allowed. Cat ok. Listing information © 2019 Monmouth-Ocean MLS. Listing provided courtesy of Lori Lustica of Exit Realty East Coast Shirvanian.